I’ve really been trying to avoid carbs lately, but I keep falling off the wagon. Now that I’ve seen these cookies shaped like game controllers, I’m really screwed. I’m not only off the wagon, but under its wheels for these sugary treats. 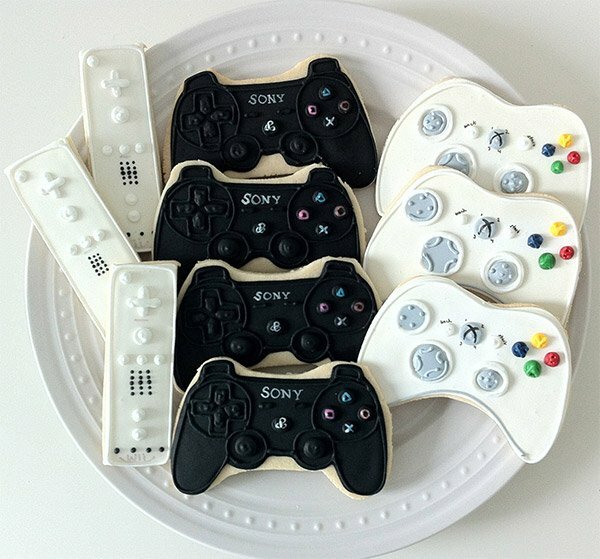 These beautiful gamer cookies come in the shape of a Wii-mote, PS3 Dual Shock and Xbox 360 controllers. They’re made by Peapod’s Cookies and perfectly capture every detail of the actual controllers. Of course, all this cookie artistry comes at a price. The set of 12 controllers shown here will set you back $52(USD). That’s over $4 per cookie. Still, that’s cheaper than a single A-list title for either the Xbox 360 or PS3, and way tastier. Way better than those invisible Kinect cookies I ate last night.